High summer is coming, and that means a bumper crop of tomatoes is on its way. This year, you're staying one step ahead of the deer, chipmunks and squirrel thieves that have been known to steal your prized Beefstakes by protecting them with Plantskydd organic animal repellent. 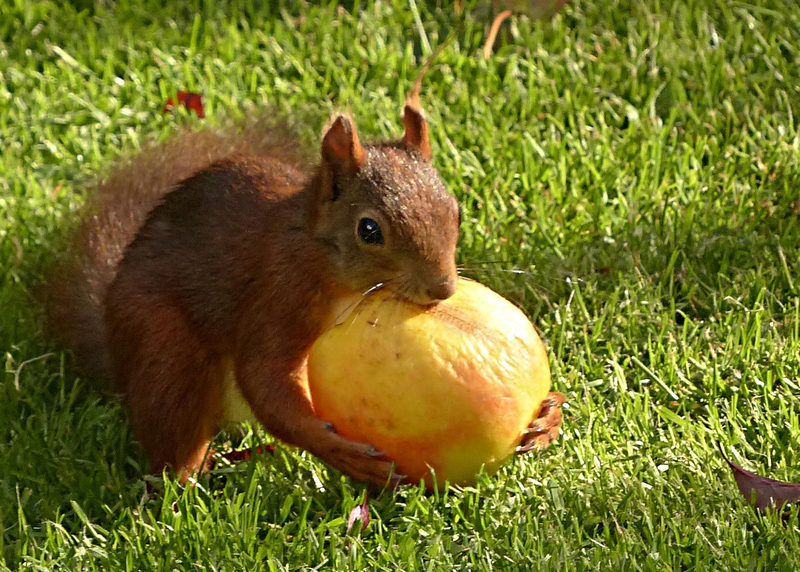 Now let's talk about what you're going to do with those bushels of juicy fruits. Whether you've been burned in the past by not protecting your garden from hungry wildlife or you are planting a garden for the first time, it's smart to take precautions. There's nothing worse than putting so much time and effort into selecting, purchasing and growing your prize tomatoes only to have the ripe fruits stolen by four-legged creatures under the cover of night. Do yourself a favor and prevent disappointment now by spraying your plants with Plantskydd Animal Repellent. This is the first repellent that is certified OMRI organic by the Organic Materials Review Institute. It is suitable for use in the production of organic food and USDA approved for organic gardening. You'll want to make sure your plants are dry when you spray liquid Plantskydd on the foliage—not the fruit—near both the top and bottom of the plant. After it has dried for 24 hours, it is rain resistant and won't require reapplication after it rains or you run your sprinkling system. Spray your plants when you first plant them, and again once they are almost full-grown. If you notice animal browsing damage anytime during the growing season, spray the plants again. The real question is, now that you're going to have a bumper crop of tomatoes this year, what will you do with them all? Here are ten practical ideas. Can them. Let's start with the obvious: bumper crops of tomatoes call for a canning party. Invite a few friends or family members over and form an assembly line to get the job done quickly while having some fun in the process. Times like these make for good memories down the road. Give them to your neighbors. Who doesn't love a neighbor who brings them homegrown tomatoes fresh off the vine? You'll rack up brownie points in no time flat. That is, unless your neighbor also has a bumper crop of tomatoes this year. Share them with a local food pantry or shelter. Call ahead to find a local place that will accept fresh produce, then share your bounty with those less fortunate. Your tomatoes will taste extra sweet to those who have limited access to fresh fruits and vegetables. Make your own pasta sauce. 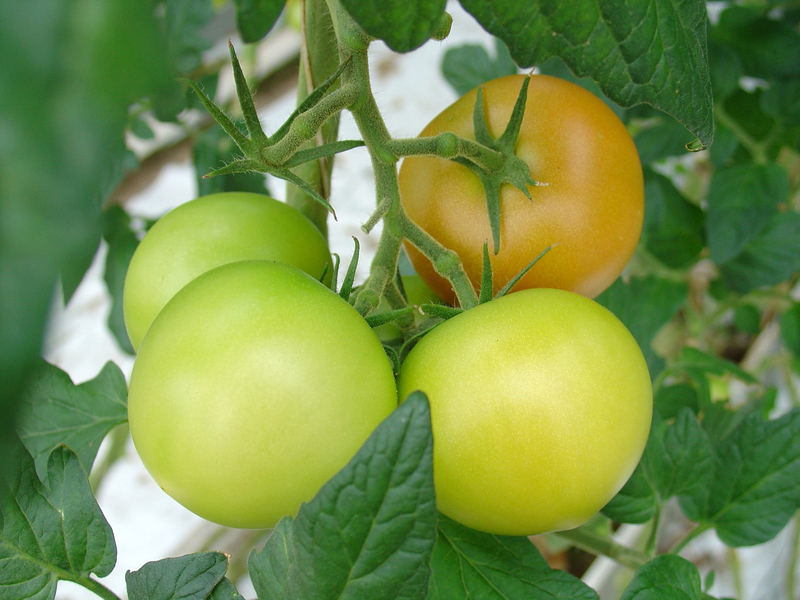 Grow paste-type tomatoes like Roma if you plan to make your own spaghetti sauce or chili. Adding a jar of stewed tomatoes you've canned the fall prior will make your dish extra tasty. Soothe a sunburn. Did you know that rubbing the insides of a fresh tomato on recently sunburned (but not blistering) skin can lessen the redness? Some people also claim that eating fresh tomatoes decreases their skin's tendency to burn. Make tomato chips. If it's time to take a break from potato chips, healthier tomato chips are delicious alternative. Place thinly sliced tomatoes sprinkled with sea salt and dried basil in a dehydrator overnight and you'll have salty/sweet tomato chips by morning. 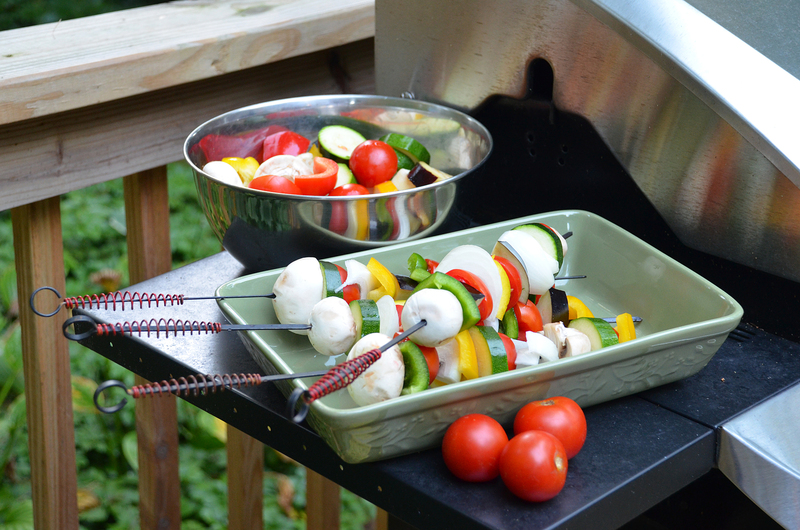 Grill vegetable kabobs. Many people don't think of adding tomatoes to their vegetable kabobs, but once you try it, you'll use them every time. Smaller sized varieties like the one shown here named Fourth of July are just right for pairing with mushrooms, zucchini, peppers and onions on skewers for the grill. Puree and freeze them. Pureed tomatoes make an excellent base for soups and sauces all year long. You'll be glad you have them during the winter months when fresh grown tomatoes are hard to find in stores. Make fried green tomatoes. At the end of the season, if there aren't enough warm days left to ripen the green tomatoes still on the vine, pick them and whip up a batch of fried green tomatoes. Dip the tomato slices in egg, coat them with buttermilk and bread crumbs, and fry them in butter until the breading turns crispy brown and the tomatoes are soft. A tangy and delicious snack!